Poverty, growing classroom sizes and standardized tests were some of main topics discussed on Tuesday evening in Red Deer for the Alberta New Democrats’ provincial budget tour stop. Feb. 26, 2014 6:10 a.m.
David Eggen, NDP MLA for Edmonton-Calder led the discussion for the public tour dubbed “Making Life Affordable,” with former Red Deer mayor Morris Flewwelling and local educator and author Joe Bower also on the panel. The tour has hit six communities across the province over the past month and will wrap things up in Calgary tonight, about a week before the provincial budget reveal on March 6. Eggen said his party has been especially concerned with the budget ever since the major cuts last year, the bulk of which were felt in the post secondary education field. The NDPs want to see a respect for working people, well-funded social services and a fair tax and royalty scheme, Eggen said. 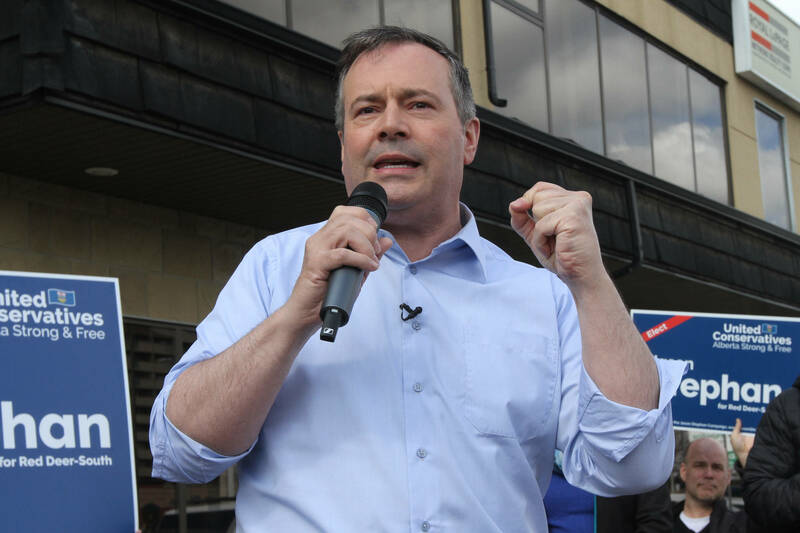 While steering clear of aligning with any particular political party ideology during his talk, Flewwelling focused on the large gap in Red Deer between the households pulling in over $100,000 and those below the poverty line. Flewwelling also highlighted the revenue imbalances between governments. “If you were to take a dollar and say what percentage of it goes to the municipally, it would be five per cent. And in that five per cent is a chunk of education tax, don’t forget . . .The province reaps 37 per cent,” he said. Flewwelling said Alberta doesn’t need new taxes but that it needs to redistribute what it already has. Bower, who has been teaching for 14 years, said Albertans also need to be careful when it comes to education and not reduce it to simply an economic and labour debate, calling out faults in standardized testing. Bower said he’d found that schools that score in the top 20 are typically made up of students from higher income families. He also called attention to the consistently growing sizes of Alberta classrooms. “I bring it up as related to the budget because I do believe it can used as a cost savings way of slashing the public education budget. Have more teachers and stick more kids in all the classes,” he said. Bower quoted school situations in urban centres with as many as 40 to 50 children in one class. “You have high school kids writing the minister themselves saying that this is affecting their learning,” he said. Other points of concern shared by the dozen members of the public who showed up for the NDP event at the Pioneer Lodge included the spiking costs of propane, the shrinking Canadian Pension Plan, the lack of a province-wide poverty reduction strategy, expensive and substandard senior care in long term and assisted living care facilities and the question of how to ensure the protection of the province’s water in the face of expanding industry.